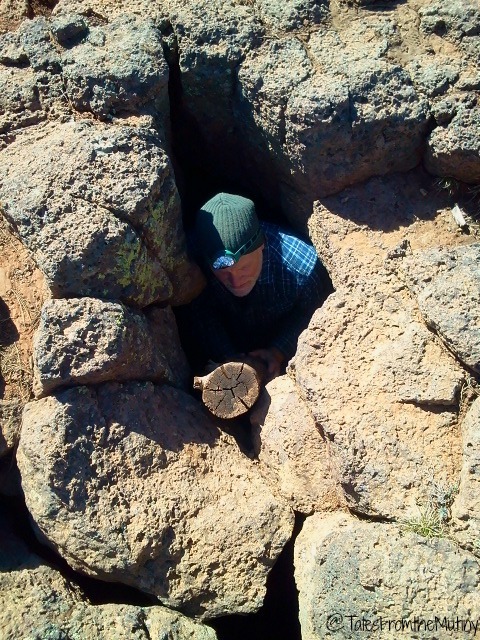 Clark offering a hand up in Red Hollow slot. Being the brave souls that we are (not really, more like oblivious wanderers), we decided to attempt a few days in Zion National Park. I mean, we were this close already and the road we were taking north had us passing by the park’s east entrance. So, an attempt was really no skin off our teeth and only 13 miles “out-of-the-way”. Since we’d been a week without Internet, and therefore our most needed tool for finding boondocking spots, we opted to stay at the cute (but tiny) Mount Caramel Motel & RV Park just north of Kanab. Long, hot showers and an on-site Post Office being the major draw. We snugged into a spot, took care of some mail (the owner of the park is also the Post Master), handled the growing pile of dirty laundry and resupplied at the local grocer in Kanab. The article from AAA magazine I’d been carrying around for 3 years. Many years ago I had gotten in the habit of cutting out articles, recipes or photos of things that sparked my interest…very much like an old fashioned Pinterest…but one that involved scissors, a folder or a notebook and paper to which I glue all of my clippings. It was practically like being a caveman! 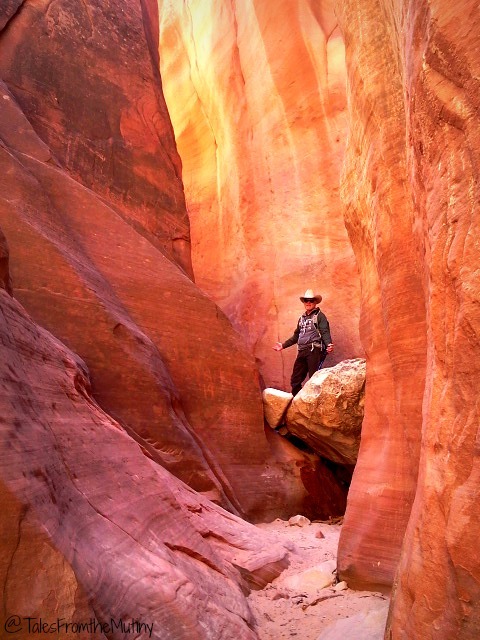 Well, since Dec. 2011 I’ve been toting around a brief interview with Ann Torrence regarding her (then) recently published book U.S. Highway 89: The Scenic Route to Seven Western National Parks. I’d been longing to do the entire drive, which runs from Canada to Mexico, but it was never feasible. But here we were, on Highway 89. 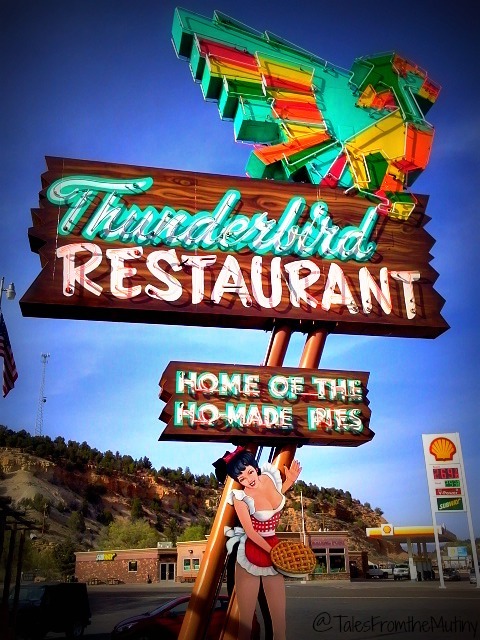 The last question in the interview was “A treat you discovered on the way?” and her answer was “The pie at Thunderbird Restaurant, 12 miles outside Zion National Park’s east entrance”. So, guess what we did? 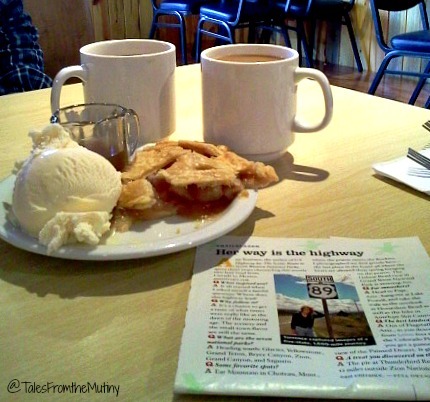 We indulged in their apple pie with warm bourbon sauce and ice cream, naturally. Then we tried to hike Zion. We entered from the East and, having at least read that the only way to access the iconic trails and overlooks was to take the shuttle, we headed toward the Visitors Center. There were cars everywhere…and absolutely no parking, anywhere. Not at the turnouts, not at the overflow areas, not in the parking lots, not even several miles out. We continued to drive through the park and out of the West entrance into the town of Springdale. We looked up and down the side streets searching for a single parking spot and finally finding one at the very last city shuttle stop. We grabbed our backpacks and hopped on a shuttle. By the time we got to the visitors center it was standing room only…which is putting it mildly. A few passengers had grumbled that there wasn’t any more room whenever our driver stopped to pick up more people. The driver promptly told us all that if we thought this was crowded just wait until we got on the park services shuttles…this was nothing! Not to be deterred I wandered over to the hotel lobby at the Thunderbird to try to get some information on things to do in the area. 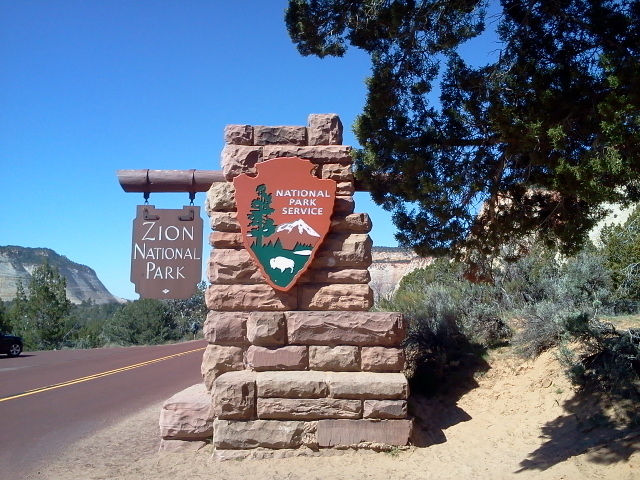 Surely the locals here don’t bother going to Zion (at least not during or after Spring Break). Where do they go for hiking? 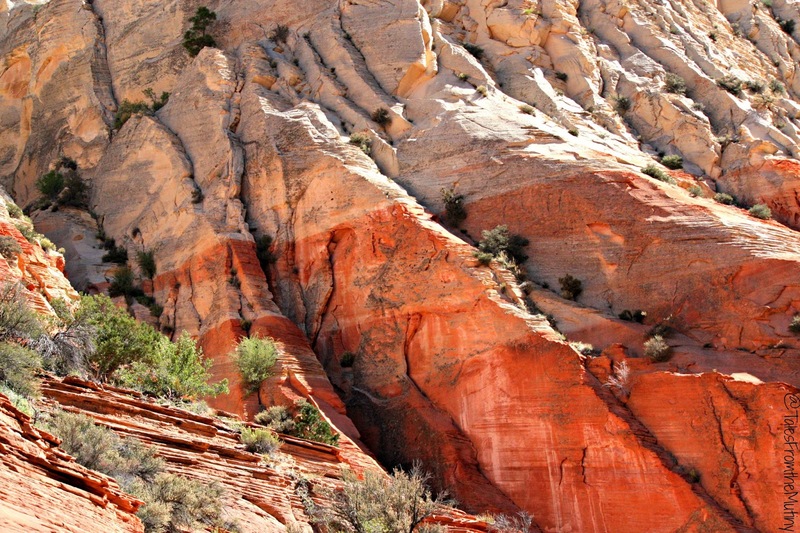 While the gift shop was a bust, selling only the normal literature on the most famous hikes in Zion, a woman at the registration counter suggested the book Favorite Hikes in & Around Zion National Park by locals Tanya Milligan and Bo Beck. This book was indispensable. This red striping is a clue that you’re getting very close to the red slot. Depending on the rains, there may be some small obstacles to climb over, most are easily navigated. Not too bad for a short, easy, free and uncrowded hike. The most notable hike we competed while in this area was Red Hollow (page 92). An easy 3.2 mile out-and-back hike, the only equipment needed to check out this cool slot are sticky bottomed hiking shoes, water and sunscreen. It was also only 5 miles from where we were camped. Although the slot section is somewhat short, the colors are amazing. 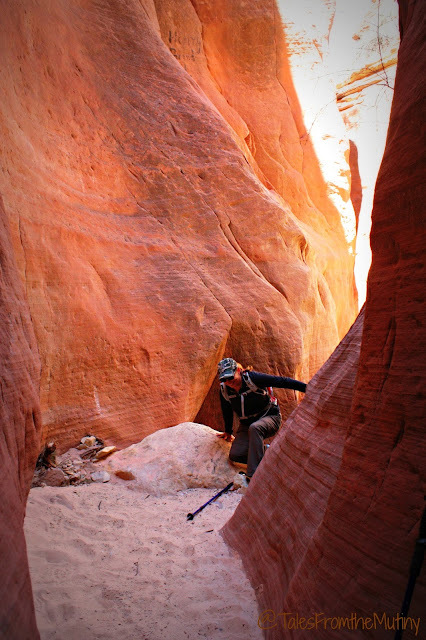 It makes for a great introduction to slots and is especially appealing for families with small children or those who don’t want to deal with a technical climb. 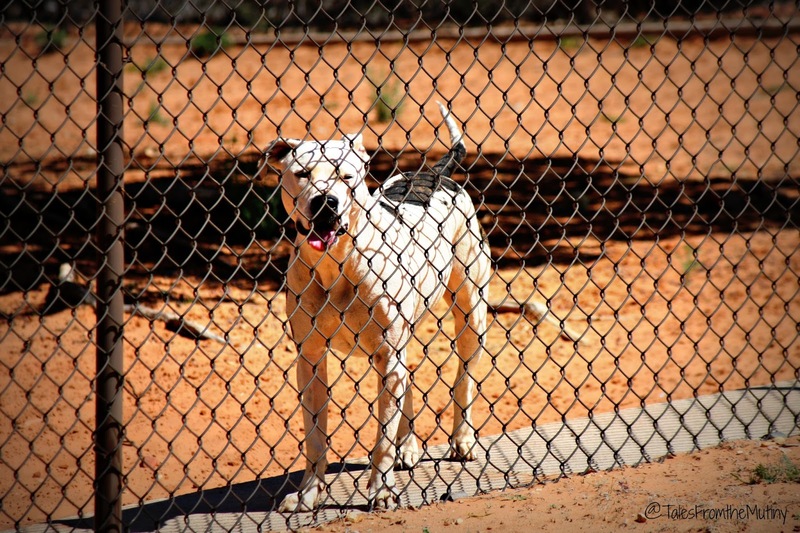 Don’t be fooled by the chain link fence, these dogs have 5-star accommodations including community dog spaces and separate runs for those who are not used to other dogs (or who prove to be true loners). Every dog is walked at least once a day by a human volunteer, often with other dogs to help them socialize. Inside the housing areas volunteers and staff work with each animal to get them used to the sounds and stimuli they might encounter when they get adopted. This includes vacuum cleaners, doorbells, brooms and people of all ages. 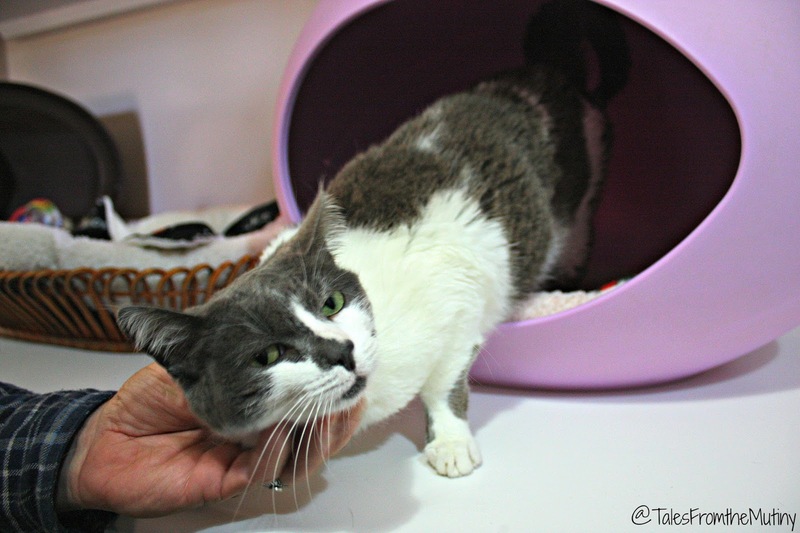 The cat rooms are like rooms in a house, except with tons of hiding spot, cat toys and scratching posts all around. There are couches and rocking chairs for them to lounge on as well as screened in patios. 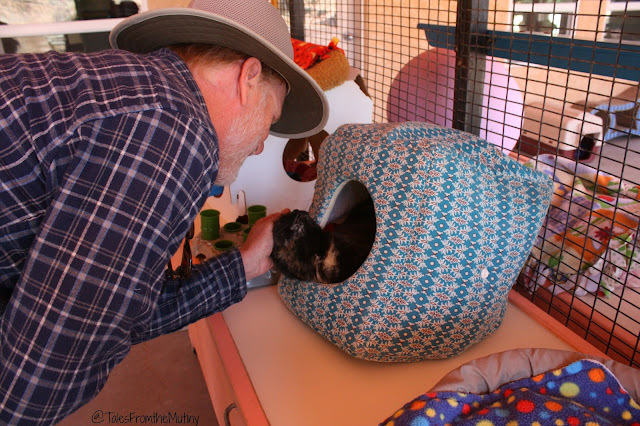 Volunteers spend huge amounts of time in the cat areas, sometimes just sitting and reading to them (and offering up a lap for the cuddlers). Clark giving some love to a kitty that looks a lot like our Miso.All cats live within a cat community but are separated if they have illnesses or are recovering from surgery. There is also a section specifically for cats with communicable illnesses (like Feline HIV) who are still adoptable and totally lovable. 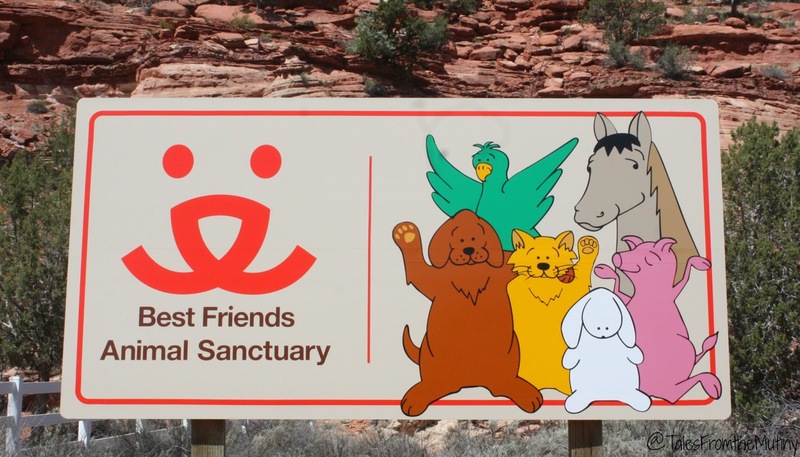 There are 1,300 wind chimes and 5,800 animals buried at Best Friends. Some are pets of members who wanted their furry friends to be part of the beautiful scenery. It’s really something to behold. 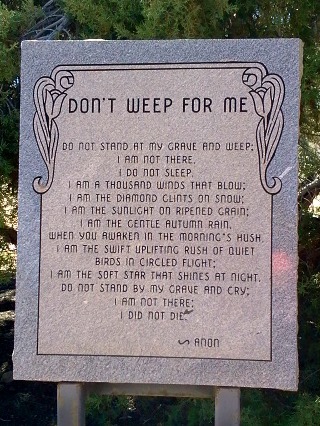 One of the plaques in the cemetery. We also visited Best Friends Animal Sanctuary, the nations largest no-kill companion animal sanctuary. More than 9,000 healthy and treatable companion animals are euthanized every day in the U.S. and Best Friends mission is to reduce that number and, even better, to reduce the number of homeless pets that end up in shelters in the first place. The facility took in 22 of the 51 “Michael Vick” dogs and is home to the TV show Dogtown. Free tours are available daily but it’s best to register ahead of time. Be sure to check out their website for a list of special tours too. A vegetarian buffet lunch is served 7 days a week at $5 per person. 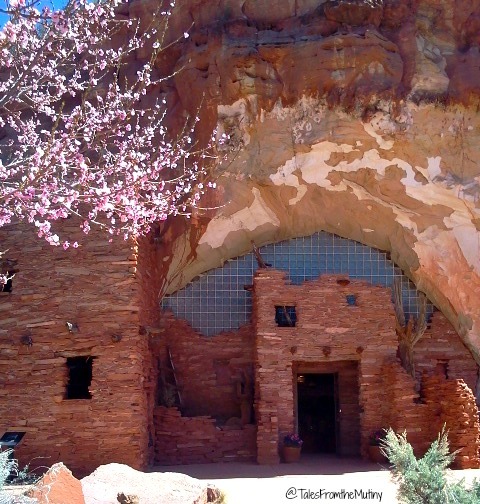 The drive through Angel Canyon alone is stunning and there are several hiking options as well. Ask at the visitors center and they’ll be happy to give you a map. (Note: There are two full hookup RV spots available at the Sanctuary costing $30-$50 per night. There is also ample RV parking at the main visitors center for day trips). From the set of The Outlaw Josie Wales. 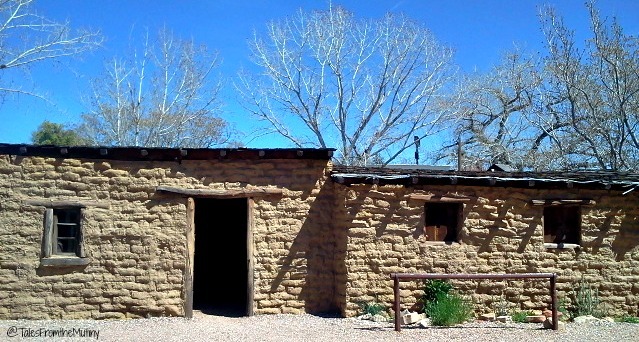 Little Hollywood Movie Museum: Since 1924, the Kanab area has been the setting for over 100 films and numerous TV shows (The Lone Ranger, Gunsmoke, Lassie and F Troop). Many of the hotels around town have housed famous movie stars and directors while filming on location. The Museum has acquired several movie sets and now has them on display. You do have to pass through a large gift shop filled with everything from bedazzled jeans and “Indian Artifacts” (possibly made in China) to get to the movie sets…and it may be a bit cheesy but it’s also a part of that Roadside America that tends to draw us in. And it’s free (unless you feel the need to buy a gen-u-wine arrowhead or some other knickknack from the store). The entrance to Moqui Cave. Moqui Cave: While you’re in the Roadside America frame of mind you may as well swing on by the Moqui Cave. Some may call it a tourist trap as opposed to a tourist attraction but at only $5 per adult we felt it was a fun way to spend the afternoon. The cave boasts one of the largest collection of fluorescent fossil and mineral collections in the U.S. 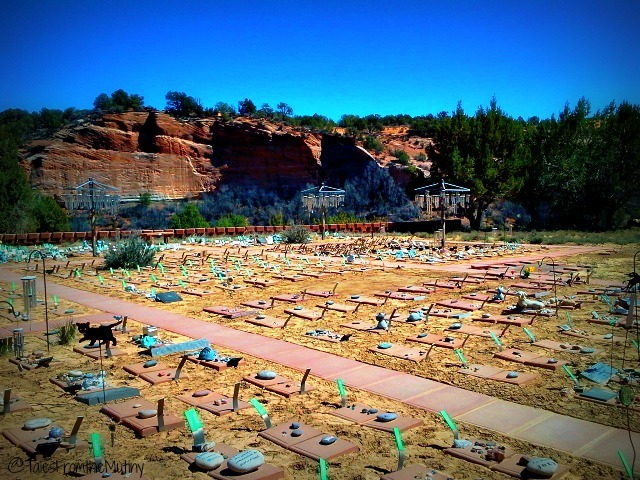 It also has an astounding collection of ancient Anasazi arrowheads (the real ones), tools and pottery…you know, all the stuff that was most likely pillaged from places like Mesa Verde before the land became protected. You’ll find dinosaur tracks, an old prohibition bar in the back (unfortunately, you can’t get a drink here anymore) and a big history lesson during this stop. Books, coffee and outdoor gear?? What kind of sorcery is this?! Willow Canyon Outfitters (and Coffee…and Books): If you’ve been following us for any length of time you’ve likely seen a bit of a theme when it comes to coffee and books. They are my favorite things. Now, combine them with an outfitters and it’s like heaven on earth. Since you won’t find any Starbucks here in the boonies you’re gonna need an alternative spot for some java. You might as well stop at Willow Canyon and chat it up with other hikers, book lovers and coffee aficionados. This is also a great place to ask about hikes and other local area adventures. 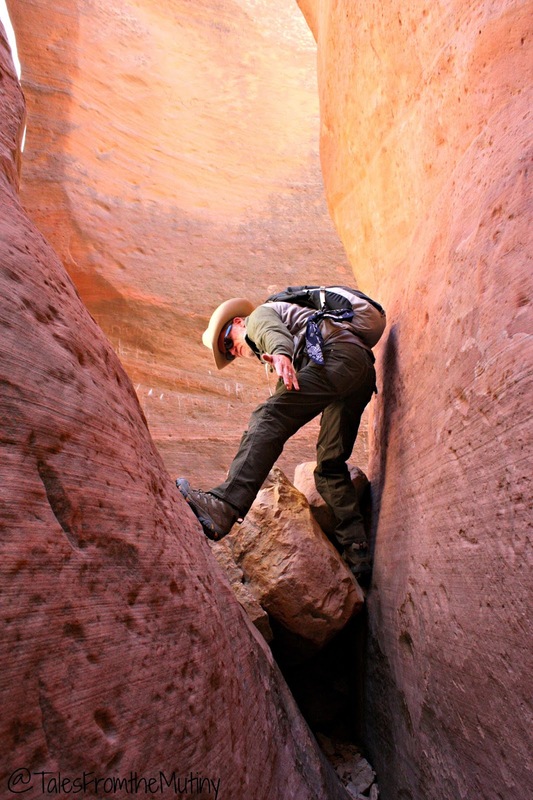 Just around the corner is the Kanab office of the Escalante BLM and where you can enter the daily lottery for a spot to hike out to Coyote Buttes North, aka The Wave. 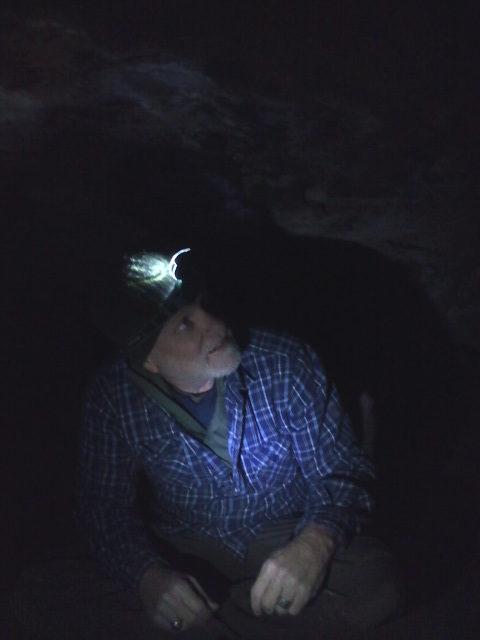 Inside Mammoth Cave, as far as we could get…it gets dark right away so bring a headlamp, flashlight or both. 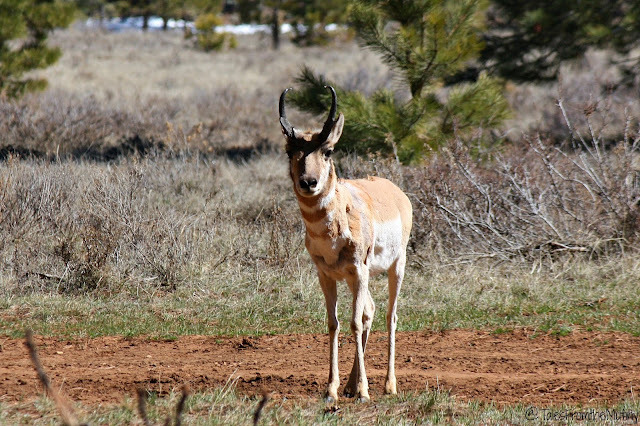 Mammoth Cave (and the Dixie National Forest): We like lava tubes and caves so why wouldn’t we make the drive to Dixie National Forest to check them out? Since it was early in the season, we found a lot of snow and cold weather during our day trip to the caves. We also found that the deepest part of Mammoth Cave was closed for bat hibernation. Regardless, the drive was phenomenal (we passed a field of bison, some horses with brand new foals and some quaint log cabin communities). There are a lot of other things to do in Dixie NF, including plenty of off-roading, but the snow at these higher elevations made most of it impassible during our visit. Likewise, the road to Cedar Breaks National Monument was closed due to snow. There are plenty of other things to do in the area from a handful of restaurants to 4×4 trails, hiking galore and knickknack shopping. So, if you find yourself squeezed out of Zion like we were, know that there are options in the area that will fill your days…at least until you can get back to Zion during the “off-season”. Looks like we are going to have to visit those caves. We just left Pinnacles National Park that have some great caves you might like. Great photos and story.